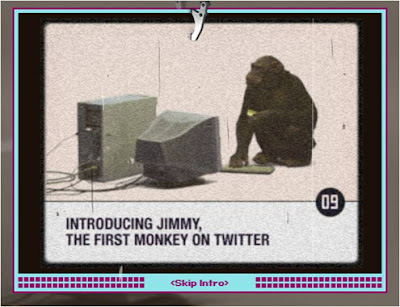 Jimmy the Monkey is the world's first Twittering monkey! A group of Portuguese 'scientists' have connected Jimmy the Monkey to Twitter. 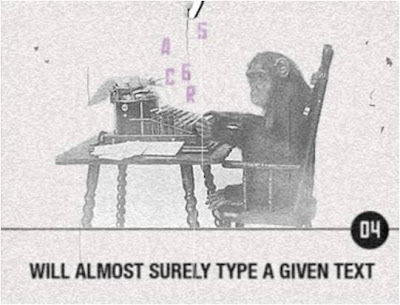 Working on the principle that a monkey hitting keys at a typewriter for an infinite amount of time will 'almost certainly type a given text', the macacodasorte experiment has connected Jimmy the monkey to Twitter to test the theory. 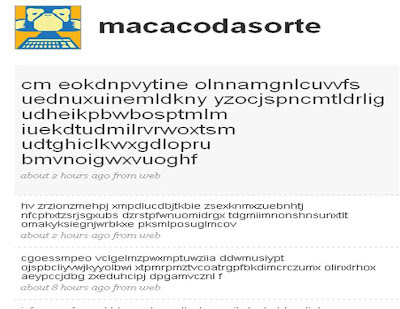 Jimmy the Monkey tweets the things he types and the www.macacodasorte.com site has a webcam feed of Jimmy the monkey with a countdown predicting when he will next tweet. There is also the opportunity to see the odds of Jimmy the Monkey tweeting your name - suggesting some sort of Portuguese lottery tie in? 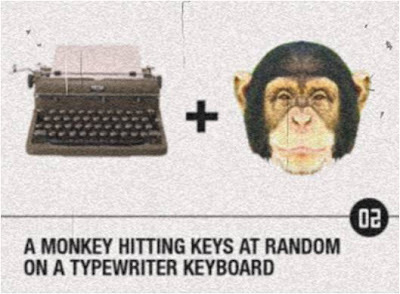 Follow Jimmy The Monkey on Twitter at @macacodasorte. Jimmy has only tweeted rubbish to date, but who knows!